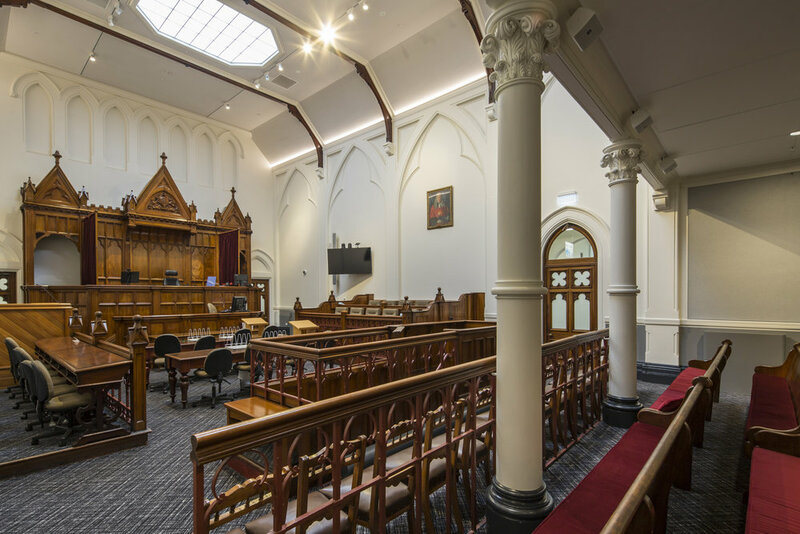 Stephenson & Turner was engaged to lead a team to provide a sensitive, heritage focused design to compliment the seismic upgrade of the Dunedin Law Courts after it was deemed an earthquake risk. Structural work required the removal of significant parts of the building’s interiors and major strengthening of the tower. 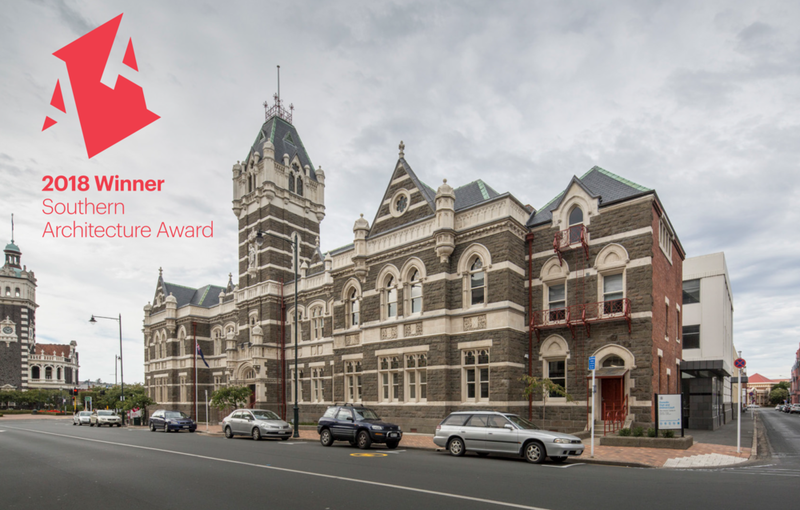 This heritage project has breathed significant life into the Dunedin Law Courts, originally built between 1900-1902. The building is one of the older assets of the Ministry of Justice and, as a result, has presented a number of compromises for modern use. Following the September 2011 Christchurch Earthquake, a business case was undertaken by Ministry and RDT Pacific to determine the future of the property. The result is a significant refurbishment and structural strengthening of this formerly underutilised heritage building to bring it up to current codes and to optimise its use as a court. The project in association with RDT Pacific and Aurecon has proudly won the top Heritage & Adaptive Reuses Property Award, and a Merit Award for Civic & Arts at the Property Council New Zealand Rider Levett Bucknall Property Industry Awards, and a NZIA Southern Architecture Heritage Award. The newly strengthened and refurbished courthouse was officially reopened by Prime Minister, Jacinda Ardern in February 2018. "The building now beats with a new and strong heart," Adern said during the ceremony. More than 475 cubic metres of concrete and 66 tonnes of reinforcing steel were used. Restoring the 66 leadlight windows alone took a year of painstaking work. About 50 kilometres of modern data cabling now runs through the building and modern audio-visual equipment has been installed in the courtrooms.